Bangladesh has not yet been an ideal place for foreign investors, though many other Asian countries have already become the major destinations for the global investors. Bangladesh apparently wants more foreign investment, but it lags behind practical implementation, forcing the foreign investors to abandon their plan to invest in Bangladesh. So many hindrances and barriers stand in the way of foreign investors. Many non-resident Bangladeshis come and stay here from a few days to a few months for the purpose of investment but at the end they also get disillusioned and go back to places from which they come. Foreign investors get very bad impression about Bangladesh as soon as they land at the Dhaka International Airport. It is international in name only, in effect, it works just like any remote African airport. The airport is dirty, indisciplined and at times chaotic. When they land at the airport they stare at each other where they have come! As they get out of the airport, the scenarios on the roads become more distasteful. If they land on weekly holidays they are stuck in the hotels, virtually nothing to do, no place to go to enjoy the life. Many foreigners simply leave Bangladesh for Singapore or Bangkok just to avoid the Bangladesh's long holidays. Last year, our neighbouring country Thailand was visited by 35 million tourists, Bangladesh received a drop compared to it. The irony is that Bangladeshi policymakers never explored the reason why Bangladesh did not receive the comparable number of foreign tourists or visitors for any purpose they want to come to Bangladesh. All the famed multinational companies opened businesses in Thailand but Bangladesh had only a few of them. The multinationals, which are doing business in Bangladesh, are also doing less business here than in the other comparable economies. Most of the foreign companies are doing a kind of trading business in Bangladesh by opening branches, avoiding the incorporation of the businesses as the companies. All the major multinationals are listed on the Thai bourse- the SET, but here majority of those have been keeping away from stock market listing. The multinationals think Bangladesh to be a land of fools. Bangladeshi policymakers are found to be penny wise pound foolish when they deal with them. On many issues our policymakers are less informed. They never took serious steps to bring the multinationals to the stock market. In recent years Vietnam received much more foreign investment than ours, and Vietnam is being followed by Laos and Cambodia in this respect. 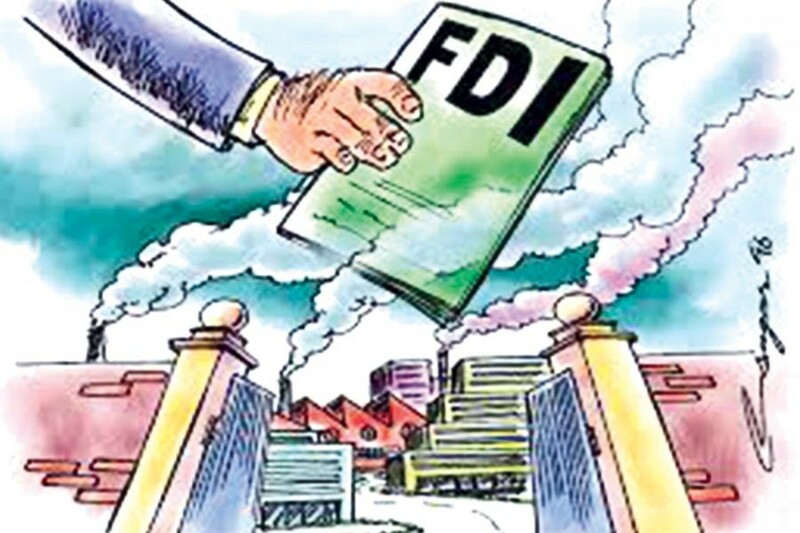 While other countries are working hard to receive foreign investment, Bangladesh has been complacent with whatever foreign investment it is receiving. Though Bangladesh says it is achieving more than 7.0 per cent growth rate in the economy per annum, unfortunately this is not visible when one casts one's eyes around. Substantial amount of capital has been flying out of Bangladesh every year, but it is not receiving foreign investment equivalent to even a fraction of the siphoned off money. Bangladesh offers better returns on investments than the same by other countries, but only the better returns do not work in bringing and holding more foreign investment in the country. Foreigners see the overall culture in the economic management, when they see that they are to pay bribe in one way or other while getting things done in Bangladesh, they feel awkward and decide to keep their investment at minimum. European and American companies are strictly prohibited from paying any kickbacks for business, and as such, Bangladesh is not suitable for them to do business. Recently, a famed pharma multinational named GSK (GlaxoSmithKline Bangladesh Limited) decided to wind up its century-old pharma business in Bangladesh. Myself being a small shareholder in it heard that, its pharma business is no longer profitable, as the company cannot pay bribe or in any kickbacks to the doctors or physicians who write medicines for patients. Unless given 'incentives', doctors do not prescribe medicines of a company. Much earlier, another famed pharmaceutical company PFIZER left Bangladesh by selling its assets to a local investor. We set up many economic zones for attracting foreign investment, but we never pay attention to what the problems foreign investors face when they actually want to do business in Bangladesh. Bangladesh could not yet inculcate a culture of work in its people, the idle culture is abound when we see that the country remains closed for days in celebrating some festivals. Our laws and justice system are not supportive to foreign investment. Many Asian countries are having much less corporate income tax rate. Though policymakers admit that the rates are high, they do not act to reduce that. In recent months, some airlines closed their business in Bangladesh. Nobody from the high-ups asked them -- why? Unless Bangladesh receives massive investment both from within and outside, this country cannot hope for sustaining its high growth rate. The writer is Professor of Economics, University of Dhaka.